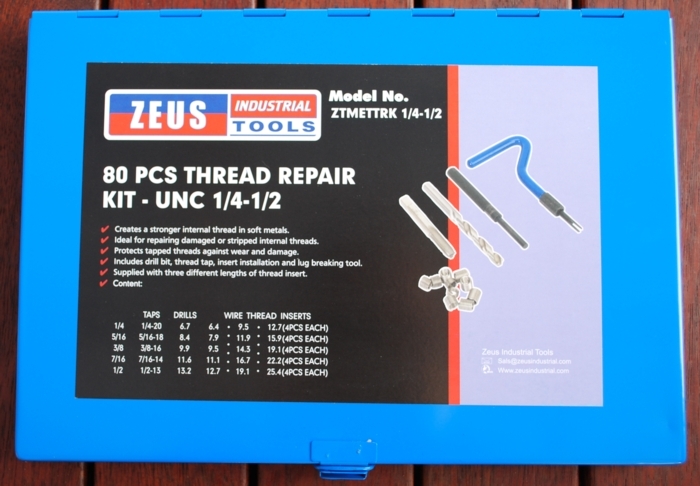 Zeus Thread Repair Wire Insert Kit. 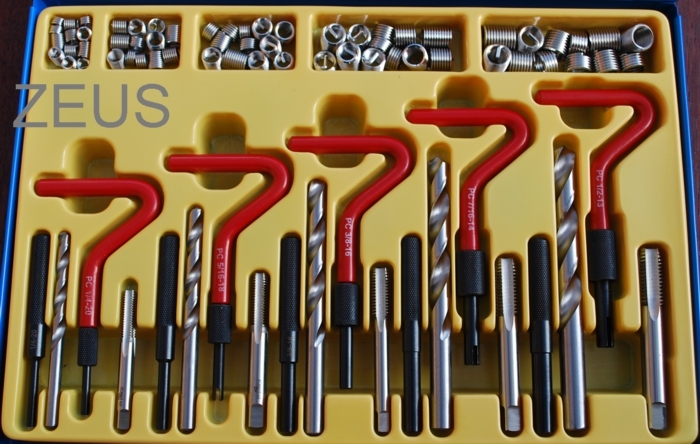 Helicoil / Recoil Metric & UNC STI HSS Taps Drills Wire Thread Inserts Stainless Steel. Large 80 piece Boxed Kits $118.00 = All details listed below. 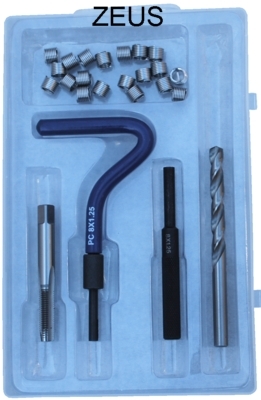 Large 80 piece Boxed Kit $128.00 = All details listed below. 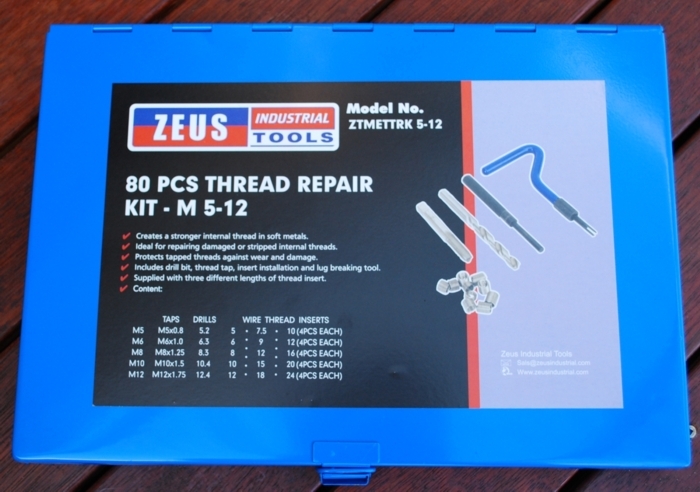 Click here for Single Kits: 10-24 (3/16"), 1/4", 5/16" & 3/8"
Large 80 piece Boxed Kit $138.00 = All details listed below. 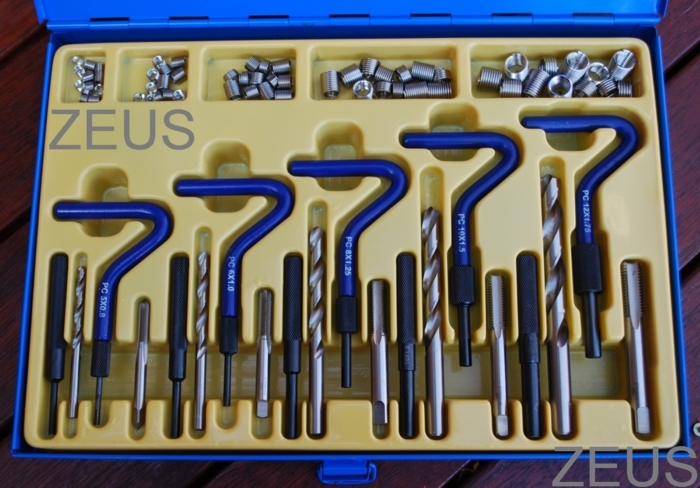 Along with Insert Installation Tools & Lug Breaking Tools for each size.